The Calcasieu Parish Sheriff’s Office received a complaint from a local business in the area involving two employees stealing from the company. During a yearlong investigation it was discovered since approximately 2008 Susan K. Mire, 53, 313 Madison Street, and Donya V. Louviere, 43, 7466 Sam Vincent Road, both of Sulphur, had stolen in excess of $153,371 from the company. Mire, who was the office manager, and Louviere, who was the accounts payable clerk, confirmed to detectives they used the company credit cards for personal use. They stated they would use the credit cards to put gas in their personal vehicles and make personal credit card and loan payments. It was also discovered that Mire and Louviere issued themselves extra paychecks that were altered and manipulated to increase their take home pay. 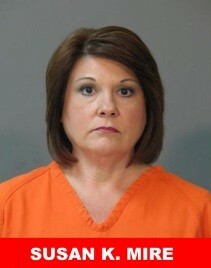 The woman were also found to have been electronically transferring company funds to their personal accounts. On February 4 Judge Sharon Wilson signed two arrest warrants in the amount of $25,000 each for Mire and Louviere’s arrest. On February 5 Mire turned herself in and was arrested and booked into the Calcasieu Correctional Center and charged with theft over $25,000; 80 counts of illegal transmission of monetary funds; and unauthorized use of an access card over $1,500. 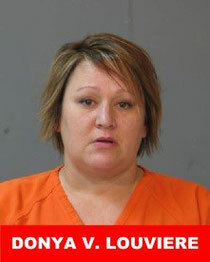 On February 8 Louviere turned herself in and was arrested and booked into the Calcasieu Correctional Center and charged with theft over $25,000; 53 counts of illegal transmission of monetary funds; and unauthorized use of an access card over $1,500. Both women have since bonded out.